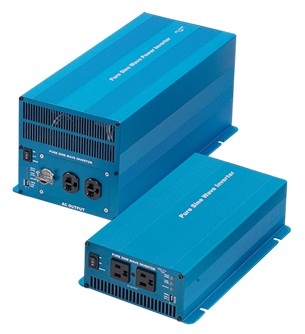 The PS Series inverters produce high efficient, pure sine wave output from 12 volt battery input with high surge power for motor start making it ideal for marine applications. A power saving mode, with user friendly adjustable set points, conserves batteries when not in use. A remote control/display panel and front panel indicator lights allows for easy analysis and control.